Design for Science Communication and Conservation. Though CDI Design Researcher Dr. Nickolay Hristov and WSSU Director of Strenghthening Academic Programs for Student Success Dr. Louise Allen’s work with monarch butterflies is very new, it has already attracted significant national attention and is quickly growing in scope, funding, support and visibility. The project attracted major audiences and recognition in May, 2018, at the National Science Foundation’s Stem for All video showcase, where CDI/iSWOOP’s Monarch-focused short took first place in the Public Choice and a Facilitators’ Choice award, as well. 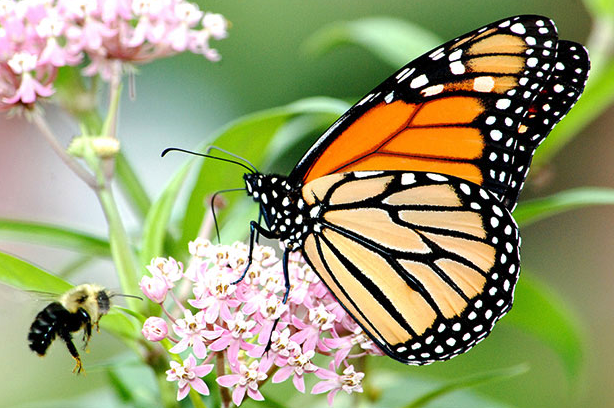 The monarch butterfly is a widely recognized, iconic, species that, aside from its pretty coloration, captures the imagination of the public with its annual transcontinental migrations of up to 3000 miles from southern Canada to central Mexico. To achieve this feat some seasonal varieties of the butterfly live up to 4 months, significantly longer than most other insects. To understand the fascinating but complex biology, researchers over the past several decades used the help of the public (in one of the best known cases of Citizen Science) to tag and track the insects until they put the story together. CDI researchers, using laser scanning, photogrammetry, and other experimental applications, are closing in on tools to more accurately count changing numbers. 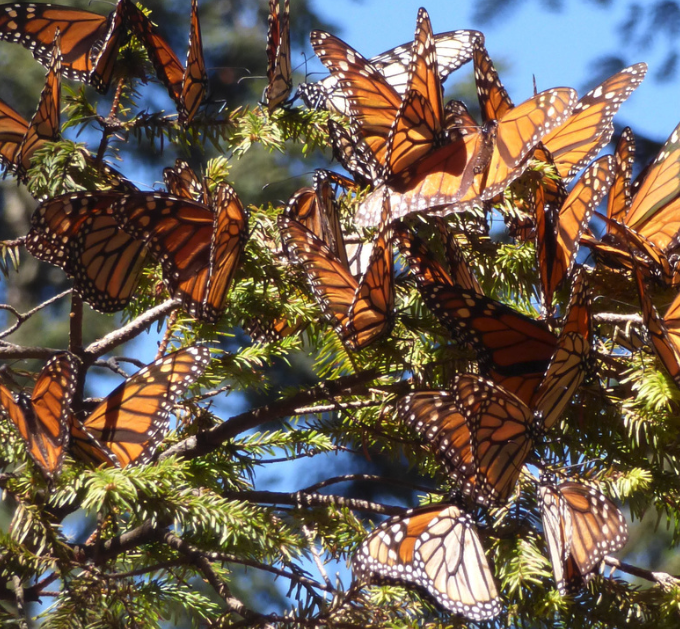 Monarch butterflies have dwindled by 90% over the past quarter century. We are part of a broad international effort to understand why and how to reverse the trend. On this project and other Science/Art residencies, students repeatedly describe how work on CDI projects changes their lives for the better. 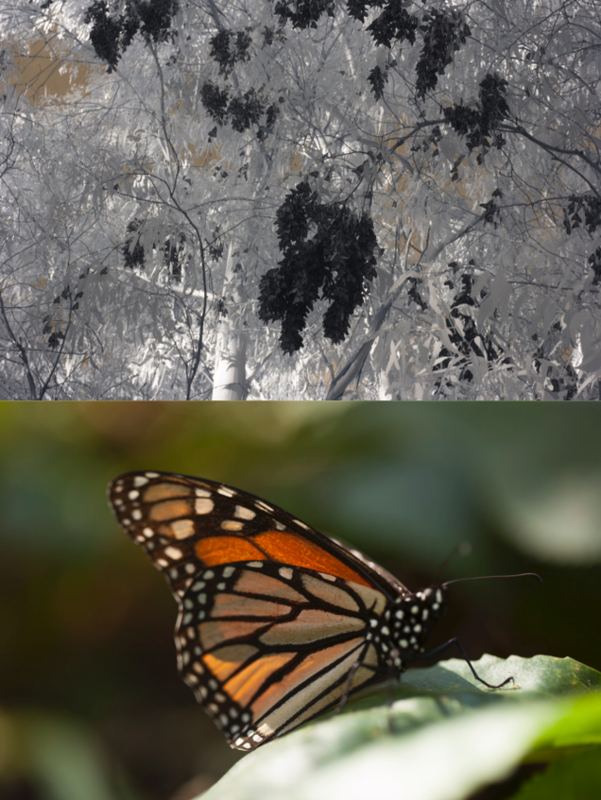 Our contribution to the Monarch Butterfly initiative is focused on developing methods for using Terrestrial Laser Scanning (TLS) (aka LiDAR) and associated computational techniques to assess the number of butterflies. In addition to Lead PIs Hristov and Allen (WSSU), our team at CDI also includes Project Coordinator Lisa Stack and Visual Technical Director (3D Modeling/Animation) Dennis Nikolaidis and a long list of students: Timothy Nixon, Zariah Jean, Georgina Dzikunu and Kari Dawson (WSSU); Grant Conversano, Chris Mathews, Trent Spivey, Raunak Kapoor and Peter Brown (UNCSA) and recent graduates Brittani George (WSSU-2015) and Ryan Lebar (UNCSA-2016). We work closely with collaborators from the US Department of Interior – specifically Ryan Drum and Shauna Marquardt, USFWS and Ralph Grundel and Wayne Thogmartin, USGS, and increasingly with colleagues from Canada and Mexico (CEC and CONANP). Hristov attended a working session of the Commission for Environmental Cooperation (CEC) that met in Montreal, Canada (in 2018), where he represented the work of our Research and Design Group. Our efforts to develop new methods for number estimation of endangered wildlife along with innovative practices in science communication and public education were recognized with an invitation to the 10-person delegation representing the United States at this prestigious multinational forum. The CEC is a large-scale, long-term advisory body to the governments of US, Mexico and Canada. Its goal is to facilitate collaboration and public participation to foster conservation, protection and enhancement of the North American environment for the benefit of present and future generations, in the context of increasing economic, trade, and social links among the three countries.